THE MELBOURNE Football Club wishes to advise that Glen Bartlett has joined the Board of the Melbourne Football Club. Interim President Peter Spargo said, “Glen is a passionate Demon whose business experience and football pedigree will stand him in good stead to take the Melbourne Football Club forward. “He is a Foundation Hero, a Melbourne Business Community Member and has been a significant corporate supporter of the Club since 2011 after moving to Melbourne for work from Perth. "The Board identified Glen as a potential Board member sometime ago and have been in discussions with Glen for a number of months, as part of the succession planning for the Board. Following the recent conclusion of his role as Managing Partner at Clayton Utz, he was able to commit the necessary time required for the position of Club Director and we are very pleased to have someone with his credentials join our Club." In accordance with the Club’s constitution, Glen will join the Board immediately and stand for re-election at the 2013 AGM. Glen, until very recently, was Managing Partner of, leading Australian law firm, Clayton Utz in Melbourne. Glen has worked in the area of industrial relations since 1986 and as a lawyer acting for employers since 1994. In 2009 Glen moved to Melbourne with his family to assist Clayton Utz rebuild its workplace relations practice. 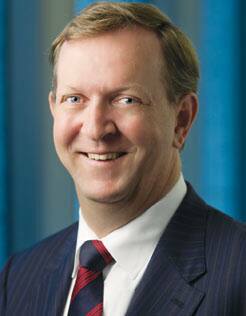 During 2010 Glen was appointed Managing Partner of Clayton Utz Melbourne with his 3 year term ceasing on 30 June 2013. Glen has been recognised by Best Lawyers Australia in the areas of industrial relations and employment law and also Government. He has also performed considerable community and pro bono work during this period including as one of the Business Mentors in the Victoria Police Leadership Program. Glen has also previously run his own law firm and was an academic lecturing and tutoring at Murdoch University from 1991-1994. Glen holds a Bachelor of Commerce and a Bachelor of Laws (Honours). Glen is a life member of East Perth Football Club having played League football from 1983 -1993 including 4 years as Captain before retiring at 26 to focus on his law career. His football career also involved being selected in the inaugural West Coast Eagles team. He had a reputation as a rugged defender which culminated with him winning the Eagles Best Club Man Award in the Club’s inaugural season. Glen finished his league career at East Perth playing Full Forward and winning the WAFL Goal kicking award in 1990 and coming second in 1991 with 90 goals. - Initial WA Representative on the Board of the AFL Player Agents Association set up to educate and regulate player managers (1998-2000). From 2007-2008 Glen also sat on the Board for Venues West, a government owned statutory body in WA which owns and operates sporting venues and stadiums. Glen is married to Janine and they have four sons.